Stewart was responsible for the civil engineering design and planning consultation services related to the redevelopment of Block 2A of Cameron Village. The project is a 316,846-square-foot, five-story mixed-use development. The project includes 295 apartments, 28,000 square feet of ground floor retail and a 450-space structured parking deck. In addition, Stewart provided pre-design services to include site constraint analysis, development of fee estimates, assistance with streetscape amendment and oversight of the quasi-judicial approval process along with significant public involvement. 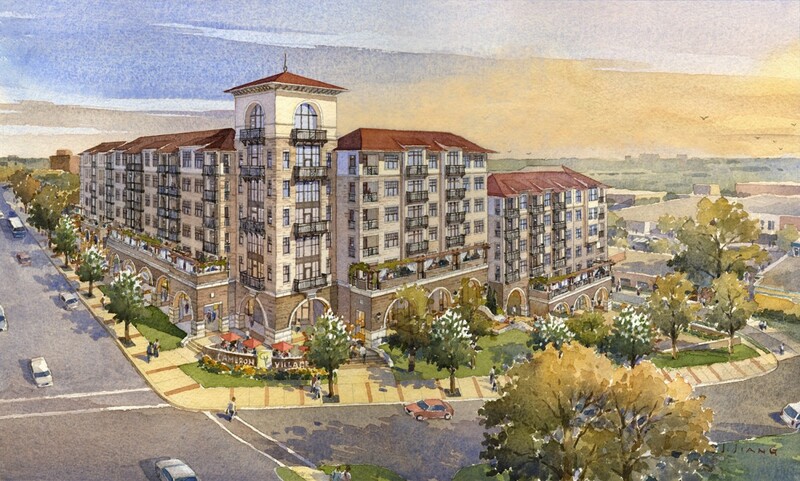 The site is a redevelopment of a key entrance into the historic Cameron Village Shopping Center. The current site is comprised of mostly vacant office buildings and parking areas. The project began in 2008 with a rezoning / amendment to the Cameron Village Streetscape and Parking Plan. As part of this process Stewart was involved in more than 20 community meetings in order to garner support for the redevelopment. Ultimately the project will bring new life and residents to Cameron Village, helping to spur continued economic development of the area. Stewart’s civil engineering scope of work included grading, erosion control, stormwater, utilities and functional parking deck consultation. The firm also shepherded the project through the City of Raleigh’s Site Plan Process, Planning Commission and City Council, receiving all necessary approvals. SUE included video of aged storm pipes that are located underneath the existing Bryan Building. The provision of this service in-house allowed the client to meet the set approval schedule and adhere to all City of Raleigh review comments.